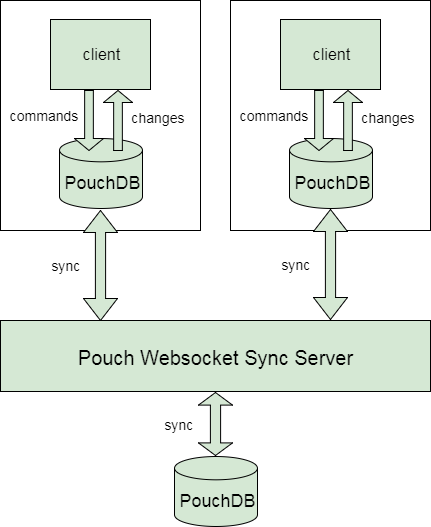 PouchDB internally uses WebSQL and IndexDB to store data. How does PouchDB work even Offline? PouchDB works offline as good as online. While offline, PouchDB stores data locally using WebSQL and IndexedDB in the browser. When the application is back online, it is synchronized with CouchDB and compatible servers. Using PouchDB, you can communicate with both local and remote databases seamlessly without noticing any difference. PouchDB is Lightweight: PouchDB is a very lightweight API. You can include it very easily by using script tag. PouchDB is easy to learn: PouchDB is very easy to learn but you have some programming skills. PouchDB is Opensource: PouchDB is opensource and it is available on Github. PouchDB is extremelly fast because it resides inside the browser and there is no need to perform queries over the network. PouchDB facilitates you to synchronize the data with any of the supported server that?s why your app can run both online and offline.